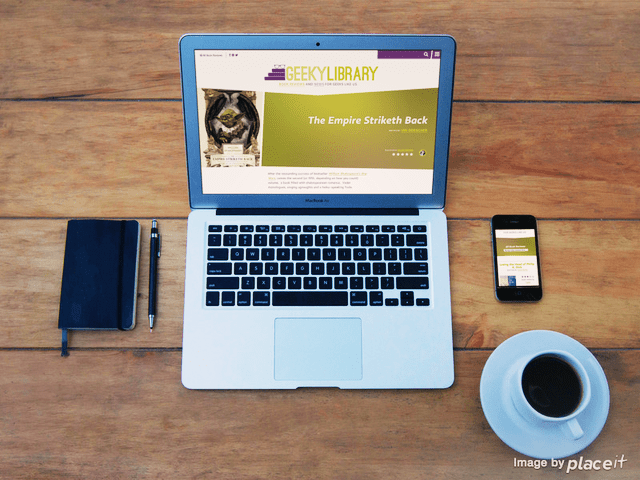 It’s been months in the making, but GeekyLibrary’s brand new site redesign is almost here. Coinciding with our release of our 100th book review, the official launch date is March 31st. Although I’ve been teasing bits of the redesign on twitter for a while, I’m ready to give more specific details. As you can see from the above picture, we’ve completely changed the look of our site. I've seen the style tiles for the #geekylibrary redesign and I'm so excited! (Also, one of the colors is named Wolverine's undershirt). In addition to Wolverine’s Undershirt, another color is “Psylocke’s hair.” So say goodbye to orange and blue, it’s time for something new. We’ve also redesigned the logo as well. Only the glasses and the book remain from our current banner. I spend a great deal of time browsing the internet on my iPhone, and mobile-friendly sites are important. Although our site has always incorporated responsive design, this time we designed the new site using a “mobile-first” method. The end result is a much better user experience for people using mobile platforms. If you read on a tablet, you read our review and then read the book without even switching devices, you techie, you. The above picture displaying the mobile site on a tablet also shows our new front page. Instead of the latest book review splashed across our front page, we’ll be curating a selection of things, be it a quote, blog post, or a review, for readers to look at. We’re also super excited about our “Pseudo-random quote generator.” We collect a lot of geeky quotes and have an extensive quote library. Although we occasionally use quotes on special occasions (Like our #GeekLove Valentine’s Day quotes), now a random quote will display on the front page… and refresh every day. Even though I regularly browse through our quote library, seeing what pops up next is super fun. Publishers will get a shout-out with their branded imprint appearing next to the reviewed book. Coolest of all, we added the ability to link related books. You liked Ready Player One? We’ve linked to You, another book featuring 80s gamer culture. This feature has been a blast to set up, and hopefully it will be fun for our readers too. 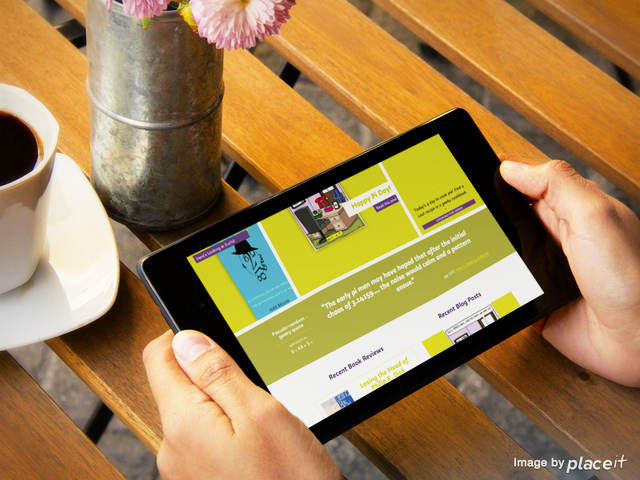 The publication of our 100th book review will coincide with the launch of our new site. We’ve posted all the books in the Countdown to 100 on our Pinterest board. You can also stay in the loop by following us on Facebook and Twitter. Hope you’re looking forward to the launch as much as we are!